Conveniently located for distribution and access throughout the Southeast, the Douglas Airport provides location opportunities in a progressive community, which is aiming high for the years to come. In addition to direct user access to the 6005 foot runway, the terminal building is equipped with free Wi-Fi access, a pilot’s lounge, snack area, board room, showers, and an aircraft museum. 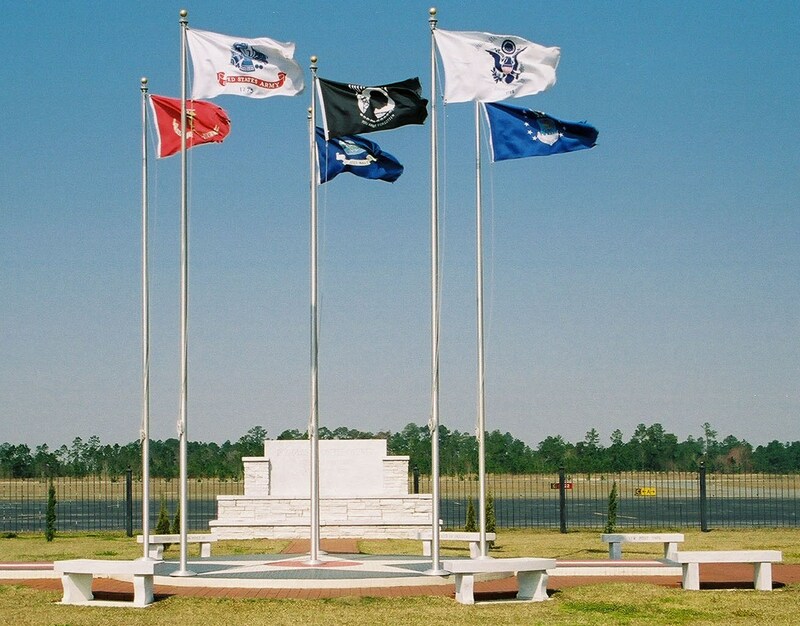 The Veteran’s Park is located adjacent to the terminal. 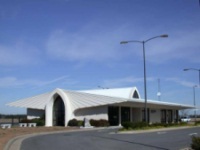 The Douglas Municipal Gene Chambers Airport Business Park has exceptional access to the network of federal and state highways, which connect to larger metropolitan areas. Get a flying start on your competition in Douglas-Coffee County! 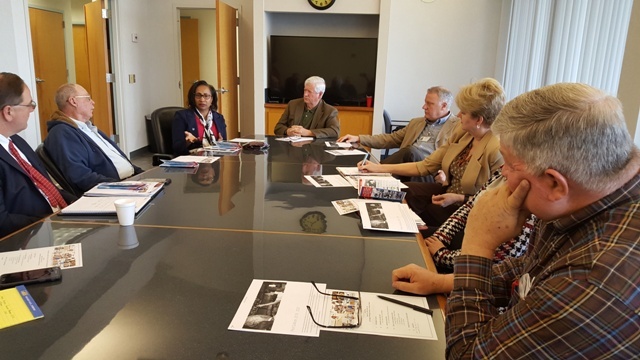 On Thursday, March 21, 2019, City Manager, Charles Davis, called a special interest meeting at the Douglas Municipal Airport with key stakeholders in the community to explore an aeronautics and aviation educational program. Members from the school system, both colleges and the Douglas Municipal Gene Chambers Airport, discussed the current and future trend needs for more employees in the aviation field, from administration to pilots and mechanics. All entities are committed to conduct research and continue to meet on a regular basis to make this program a reality for the community. Plans are in the works to start introducing kids, as early as elementary to the operations of the local airport by hosting school trips. From there, hopes are to create a pathway for students in 6th grade to college entrance in the field of aviation. Following the meeting, those in attendance were treated to a private tour of the famous XP 82 Twin Mustang that was fully restore to flight in Douglas, Georgia under the leadership of Mr. Tom Reilly. 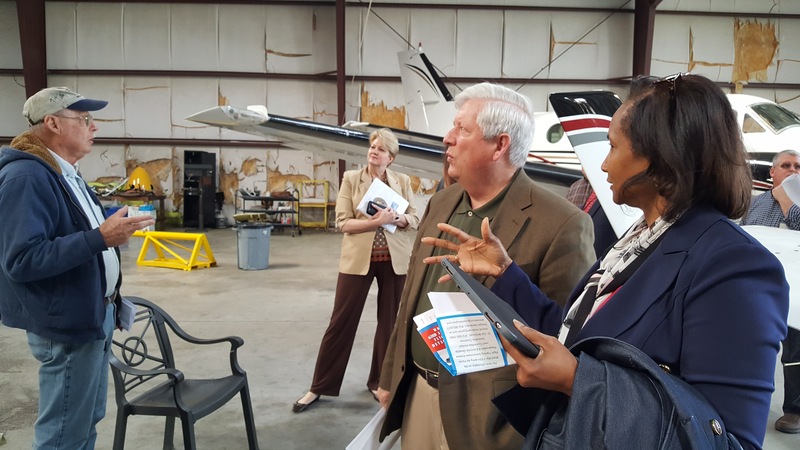 Visiting the hangar allowed stakeholders to visualize the hands-on training students would receive in the aviation education program. Special thanks to those present at the meeting: Dr. Ingrid Sellers (President of South Georgia State College), Dr. Carl McDonald (South Georgia State College), Dr. Morris Leis (Coffee County Board of Education Superintendent), Brad Riner (Coffee County Board of Education), Joy Perrin, Pam Smith (Principal/CEO Wiregrass Georgia Career Academy), Georgia Henderson (Community Development Director), Howard Whidden (Airport Manager), Don Brooks (Brooks Aviation), and Tom Reilly (Maintenance Instructor). Following the meeting, those in attendance were treated to a private tour of the famous XP 82 Twin Mustang that was fully restore to flight in Douglas, Georgia under the leadership of Mr. Tom Reilly. The goals of the Air Base Preservation & Development Committee are to identify, evaluate, and plan for rehabilitation, adaptive use, and restoration of the historic structures at the air base in Douglas, Georgia, Coffee County. We hope to protect the historical integrity and to increase awareness of this hidden jewel within our community. The end results will hopefully create a “village concept” that will attract visitors from across the nation to this historic landmark, which is listed on the National Register of Historic Places. Contact a Committee Member today to make a tax deductible donation for the restoration of this historic Airbase. During World War II, an average of 200 cadets and 75 personnel remained on the airbase. Joint management of the airbase continued; the Raymond-Brinkerhoff Aviation Company controlled the flying instructors and buildings, while the Army had control of the mechanics, cadets and hospital. By 1943, The main field had grown to 3500’ X 3500’ with auxiliary fields. With 10 barracks added in 1942, additional barracks began construction in 1943. When Brinkerhoff resigned from Raymond-Brinkerhoff, the company was re-organized into the Raymond—Richardson Aviation Company. The base continued to grow to 12 buildings and one flag pole. An estimated total of 7,000 WWII cadets graduated from the 63rd Army Air Force Flight Training School. Many cadets went on to fly during the war, win honors, and some gave the ultimate sacrifice. 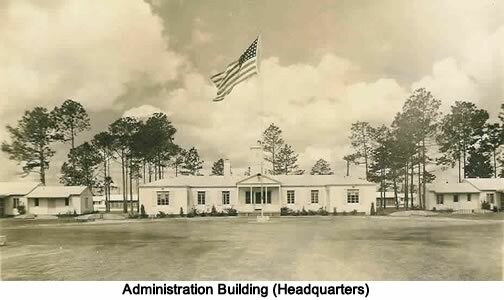 In Dec. 1944, the base was decommissioned and returned as a civilian complex to the City of Douglas. Over the years, the airbase has been used for multiple purposes from a spring baseball training site to school housing to government office space. The WWII 63rd AAF-FTD Flight Training Museum is occupied on the grounds of the Airbase and the Douglas-Coffee County Veterans Park. Do you have airport courtesy vehicles? Are there any hotels / motels near the airport?